Audiobooks - Hands Over Heart: Practical Shamanism For a Really Good Life that just keeps getting better. There are worlds of healing, protection, and insight available to you just beyond ordinary reality. The knowledge to simply, powerfully journey to these worlds, to connect with your spirit guides, to build a vision of yourself as healthy, intuitive and psychically alive, is within this book. Whether you are just beginning to seek a truer and more meaningful existence, or you are an experienced traveler of worlds, this book provides a reliable, straightforward, friendly and practical guide to basic shamanic practices, including more advanced instruction in past life healing, shadow work, and soul retrieval. Click here to read a PDF of the book’s Table of Contents and Introduction. 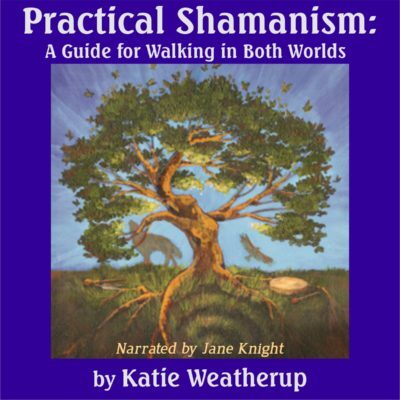 Get Practical Shamanism as an Audiobook! If you’re new to Audible, you can get this free! Don’t worry, they still pay me, plus Audible offers me a nice bonus if one of my audiobooks is your first download and you keep your account with them for a few months. Our experience on this Earth can be difficult, to say the least. A spirit having a human experience is not easy, nor is it intended to be. This book holds the key to building the bridge between the spirit and the human. 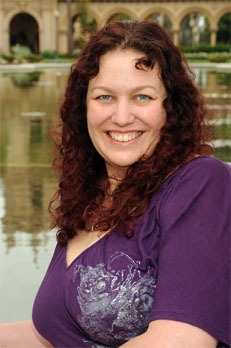 Katie takes Shamanism to new levels with her practical and simple approach. This book explains new view and uses time-honored traditions in Shamanism. Practical Shamanism is an extraordinary tool for growth and self-actualization. It applies the wisdom of traditional, shamanic cultures to a busy, modern lifestyle. Michael J. Majeski, M.Ed Psy.D. 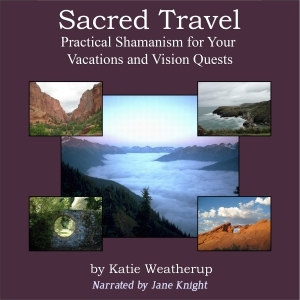 Sacred Travel: Practical Shamanism for Your Vacations and Vision Quests is available on Audible.com and at Amazon.com. Are you an energetically sensitive or spiritually-inclined person? If you answered “yes”, then this guide can make the difference between an exhausting marathon and a dream vacation. Imagine yourself hiking to the Sun Gate at Machu Picchu, greeting the dawn from the center of Stonehenge, or standing a foot away from the lava flow in Hawaii. An understanding of shamanic practices can make these experiences so much richer. Learn how to find the unmarked places along the road, where deep healing, wisdom, and gifts are offered. This book offers suggestions and practical advice for those new to the concept of sacred travel as well as ways for those with experience to expand their skills. Connect more deeply to the land while traveling or at home. Meet the guardians of the land and invite their protection. Deepen your energetic perception and discernment. Experience the essence of the land more profoundly when you travel. What tools do you need in your shamanic travel kit? How do you set up protections to promote a good night’s sleep? You’ll find answers to these questions and more here. Shamanism can be called the Path of Lightning. Here is an invitation to dance with the energy of places you visit for deep healing, activation, and transformation. May you enjoy the journey! Get Sacred Travel as an Audiobook! If you’re new to Audible, you can get this free! Don’t worry, they still pay me, plus Audible offers me a nice bonus if one of my audiobooks is your first download and you keep your account with them for a few months.